Are my PPC ads worth the money? That was the question on my mind. The situation was a company that had recently increased their daily budget on Google Adwords and wanted to know if the investment was paying off. The click-through rates were good but I saw zero conversions when I checked out the Conversions page on Google. That was a concern since the Adwords account was linked to their Analytics and should have been tracking all conversions from paid ads. When things are going as intended, you can see your conversions by clicking Tools at the top of your Adwords page and selecting Conversions in the drop-down list. 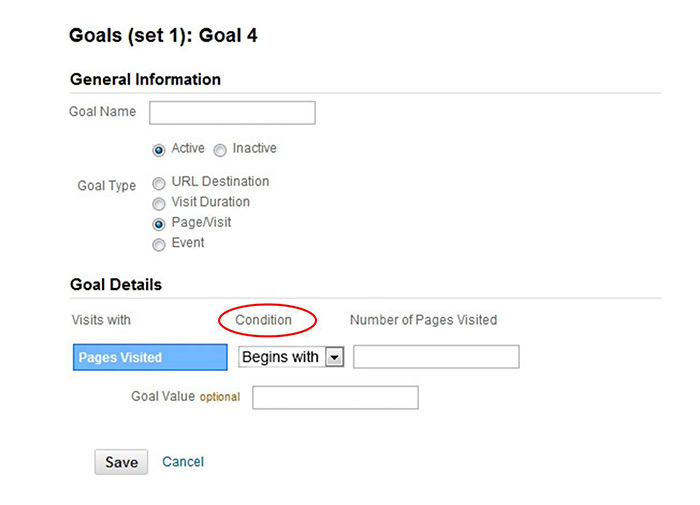 If you have set up your goals properly in Analytics and linked the accounts, this should track conversions for you. Unfortunately, in this case, it wasn’t clear that was happening. The zero conversions shown in Adwords could mean one of two things. Either there were no conversions happening from paid ads or there was a problem in how the leads were being tracked. Obviously, if there were no conversions taking place, that was my answer regarding the effectiveness of the ad campaigns. If, on the other hand, the leads just weren’t being tracked properly, I had a whole other problem on my hands – and had no way of knowing how effective the ads may or may not be. In this case, since the company used Marketo, I decided that would be my gold standard. When Marketo said a conversion happened, it happened. This made sense since Marketo doesn’t just imagine people filling out forms on landing pages. From there, they should have shown up in Analytics under the proper channel (Paid Search, if coming from Adwords) and they should have shown up under Conversions in Adwords. The first thing I did was contact Google. If you have an Adwords account, you can access Google support and it is invaluable. Of course, invaluable is not the same as perfect. That’s why you need to think things through and test your results. So, when Google first told me it was all set up correctly, I asked whether they had tested the conversion starting from an ad or just from our website. They assured me it was the same thing but I knew it wasn’t, and I was right. In the end, it turned out that some source code added to the end of the Adwords landing page URL was creating a problem. This code had been added to help determine in Marketo where leads were coming from but, in this case, it was creating a conflict. For instance, instead of having the ad go to www.adlandingpage.com, it was going to www.adlandingpage.com&source=ppc. I had no reason to think that would be a problem but it was. I pushed Google to explore the code further. They discovered that clicks from an ad were being tracked accurately to the landing page but, when the visitor then clicked to a Goal landing page on Marketo, the channel was changed from “Paid Search” to “Referral”. Ah-ha! That would explain why there were no paid search conversions happening. I immediately went through all the ads and removed the source code from the landing page URLs. Still, that was not enough to know if all was working properly. When a conversion came through, I immediately logged into Google Analytics and checked what channel it had come under. I verified that the goal showing the conversion on Analytics was the same as I had seen on Marketo and I marked down the conversion type (aka, channel – organic, paid search, referral, direct, etc.). If the conversion type was Organic and keywords were provided, I noted those, too. If the conversion type was Paid Search, I logged into Adwords to see if it showed up on the Conversions page. In a short amount of time, I was able to determine that paid ads were now being tracked properly and that they were converting. Surprisingly, the manual lead tracking also alerted me to a different problem: some goals were not showing up in Analytics at all. It took me awhile to realize it was only certain goals that were having this problem. I looked into the Admin section of Analytics and went through each goal, trying to see what might be different about the goals that were not tracking. I discovered that the problem was with goals that used the condition “equal to”. I changed these to “begins with” and continued to manually track conversions. Within two weeks, I had the data on all the goals in question to verify that they were now being tracked correctly. Whenever you do any kind of troubleshooting, you need to commit to being thorough and to verifying your results. It would have been easy for me to take the first rep’s answer at Google and just assume it was all working fine. If I had done that, though, I could easily have concluded that the ads were not converting at all and stopped the campaigns. Moreover, I would never have found the problem with the Goals and all the Analytics data would have been inaccurate. Detailed data gathering and simple hypothesis testing can help you troubleshoot your lead tracking. This will help you verify that you have the right data upon which to base your decisions. If you are troubleshooting your lead tracking, take the time to think it through and figure out how you can test your results.